The launch of the all-electric variant of the Mahindra XUV300 is in the pipeline. The homegrown automaker has officially confirmed that same as the launch of this SUV’s in India last month. 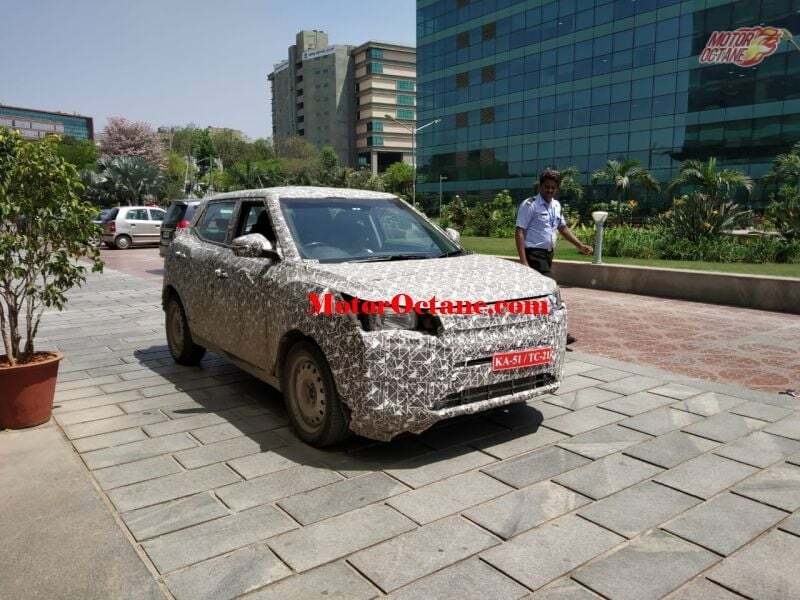 The XUV300 EV has been spotted testing in India for the first time ahead of its launch scheduled for next year. It is quite early to comment on the battery capacity which will be used in the EV version of the Mahindra XUV300. However, some recent media reports claim that it will offer a driving range of around 350-400 km on full-charge. Going by the spy shot, it seems that the all-electric version of the Mahindra XUV300 is going to have the exact same exterior design as that of the standard iteration of this vehicle. Even the interiors are likely to get a similar layout. At the moment, the prices of the petrol/diesel driven Mahindra XUV falls in-between the price range of INR 8 Lakh to 12 Lakh. The prices of the all-electric version could start from INR 15 lakh onwards. In the price range of INR 15 lakh to INR 20 lakh, we are soon going to see several new, all-electric vehicles in the near future. Hyundai has officially announced that they are going to launch the Kona all-electric SUV in the Indian market this year. In addition to this, MG Motors has also announced the launch of its first all-electric car in India by the end of this year. This car is expected to be an SUV in the range of INR 15 lakh to INR 20 lakh. Down the fiscal food-chain, Maruti Suzuki is prepping up to launch its first all-electric car in India. The carmaker has already commenced testing this vehicle on India roads using the Japanese spec WagonR as the host vehicle. So far it is not confirmed as to which vehicle is going to support this all-electric powertrain for Maruti Suzuki in India.